Magnetic Torque Key – Looking for the best, most practical and unique gift for your favorite drummer? 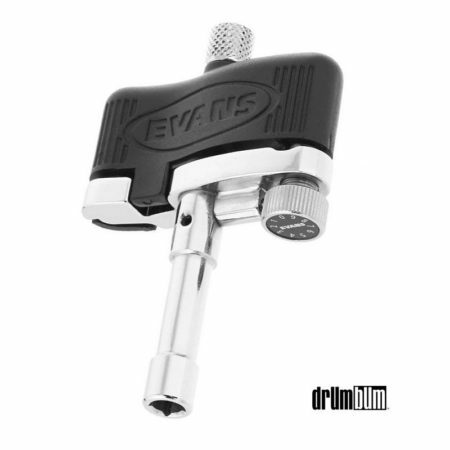 The Magnetic Torque Key is a drum key that will take their drum tuning to another level! Also with having an ergonomic handle for comfort, a knurled knob for easy head changes, and a non-slip magnetized head, the Torque Key’s handle can be pre-set to release at a specified tension, ensuring even tuning at each lug. The rattle-free design ensure the drum key will silently stay in place during drumming. Manufacturer lifetime guarantee. Drum key approx. 3.5″ x 2.25″. Unique Drum Accessories for Drummers at DRUM BUM!